Are you deciding on whether to go for a wired vs a wireless doorbell? In this article, we will give you the best 5 benefits of using a wireless doorbell. The benefits of a wireless doorbell outnumber the drawbacks, by a long way! When it comes to deciding, I personally think it is a very easy decision to make. This list of 5 reasons is in order of importance. One of the biggest benefits of using a wireless doorbell is the security features it adds to your home. I personally feel a little more secure now that I am using a wireless doorbell with video integration. I have the app on my phone and I can access it from anywhere with a good mobile data signal. This is an extremely useful tool, which is so underrated. As soon as the bell is pressed, I can check to see who is at my door. If it looks like an undesirable, then you will know before you answer (If you do decide to answer!). Not only does it add security to your house, but video integration will also alert you to those type of people who will keep you talking when you are already busy! Nosey neighbors, and others you may not have time to deal with. Wireless means no cables, that much is obvious! Having a solution with no cables means a much easier installation. Not only is it an easy installation, but it also looks very tidy. My biggest problem when installing anything electrical is hiding the wires! It is the job I leave to last when I really should think about it before I start. Wired doorbells may have white cables, and it doesn’t matter how hard to try to hide the cables, they are sure to stick out on your beautiful wooden door! Hiding the wires on the outside is one thing, but the biggest challenge will be running the cable from the inside of your door, to where the chime is plugged in. Why put yourself through that, when you can just go for one of the best wireless doorbells! There is only one way to get a cable from the outside of your door to the inside….you will need to go through your door! That means making a hole in your door. If that can be avoided, that is my preferred option! It is fair to say, I would rather have a door with no holes in! So you have now installed your wired doorbell and you have tucked the wires neatly in the available crevasse. That’s cool, but if, like me, you have a young child, then you will already know that hiding wires are just straight up, not going to work! They find everything, and when they find the wires, they are being pulled out. Go wireless, I haven’t met a kid yet who can interfere with a wireless connection! This biggest integration benefit for my situation is integration with mobile applications. If you are like me, you will take your mobile phone everywhere! To be able to see who is at my door from anywhere (I am assuming a good mobile data signal here!) is incredible. Not only can I see the person, but I am also able to communicate with them if I need to. Is it a delivery? I can point them to a neighbor’s house. Is it a friend? I can tell them when to re-visit. Is it my wife, who has left her keys in the house again? I can (attempt to) contain my laughter as I tell her when I can be expected home. Alexa and Google home are being used more and more too, and integrating with these is sure to be available in the future. Having said that, I am not sure of the benefits of integration with these, with the possible exception of asking one of them to turn it off at night! Like I have already said in the things to remember when buying a wireless doorbell article, I have a friend who works from home in his shed. He went for a wireless doorbell option because he can plug the chime into his shed. He also has video integration, where he can review the visitor and decide whether it is worth getting up from his chair or not! A wired doorbell will need to be plugged in close to the door, which does not give you many options when it comes to installing! As I mentioned above, installing a wireless doorbell will increase the options you have when it comes to deciding where to put the chime. The range of some wireless doorbells is up to 1000 feet! This basically means you can put the chime anywhere in your house. Some of the wireless doorbell kits are expandable, which means you can add in chimes wherever you need to. If you are hard of hearing, you will need to have as many chimes as possible due to your reliance on the LED light alerting you to a visitor. A much more simple solution is to go with a wireless doorbell! There are some disadvantages to using a wireless doorbell, such as any interference you may get. 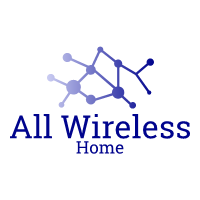 If you plan your installation correctly and buy a wireless doorbell with anti-interference features, then you will mitigate the biggest disadvantages. We recommend taking care when choosing a wireless doorbell. You need to factor in everything you want, and everything you need before deciding. We have put together some buying guides, which may help you decide. If you are looking to buy a new wireless doorbell, check out our best options and buying guide!